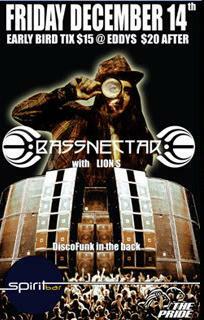 Bassnectar drops his beats on December 1, 2009 at Spirit Bar in Nelson. Spirit Bar is located at 422 Vernon St., Nelson, BC Canada. This is a 19+ event. Advanced tickets are available for $15 at Eddy’s, or $20 at the door.